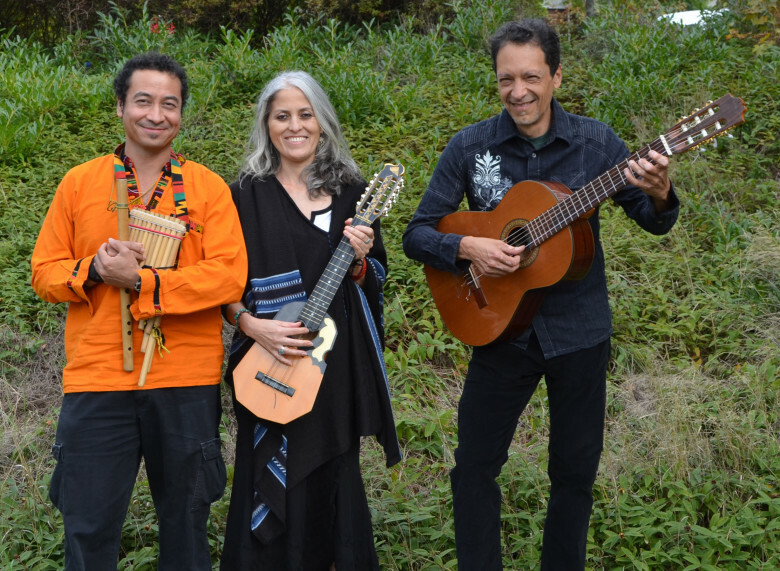 At a time in the Pacific Northwest when there is growing involvement in arts and social justice, there has been renewed interest in the nueva canción (“new song”) movement from Latin America. Seattle area trio Sin Fronteras (“without borders“), are highly skilled performers of this tradition and emigrated to the U.S. from Chile, Colombia, and Mexico. They describe the music as having “vibrant rhythms, soulful melodies, and breathtaking harmonies – songs of life, humanity, and love.” The song lyrics alone are some of the most beautiful poetry in the Spanish language. The roots of nueva canción are based in the rural folk music of Chile, and spread from there to Argentina, Spain, and other Latin countries. In support of the “common people”, the music made extensive use of traditional musical forms and instruments, such as the quena, zampoña, charango and cajón, and feature the guitar (from Chilean cueca). Sin Fronteras continues this tradition, adding the cuatro, Argentinian bombo (bass drum), and Venezuelan harp.